There were a number of notable Presbyterians active in 1867 who span the breadth of what is now Canada, from sea to sea, and beyond. Unfortunately, not all stories have survived the 150 years to the present, but some that have are presented here. 1867 was a year that saw much action to build congregations, churches, and schools further west as well as across the sea. The following individuals played important roles in their churches and many were often mentioned in The Presbyterian, The Home and Foreign Record of the Canada Presbyterian Church, and The Home and Foreign Record of the Presbyterian Church of the Lower Provinces. Rev. Robert Jamieson. Image G-7521-FC. Rev. 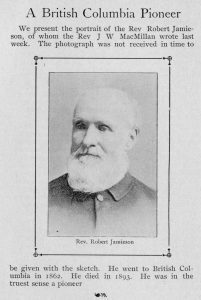 Robert Jamieson arrived in Victoria, British Columbia, in July 1862, the first missionary of the Canada Presbyterian Church, and set about building congregations in Nanaimo and New Westminster. 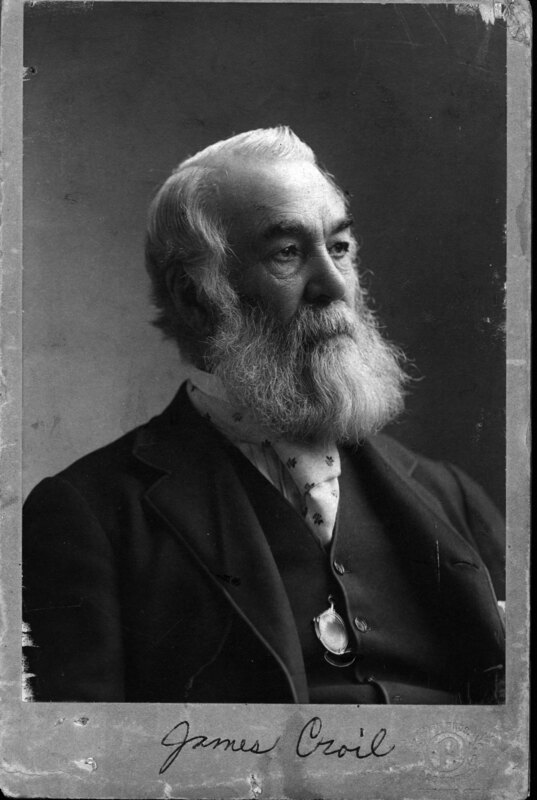 He founded St. Andrew’s Presbyterian Church in New Westminster before travelling to Nanaimo to establish St. Andrew’s Presbyterian Church there in 1865. Rev. Jamieson stayed to minister to the congregation in Nanimo for five years, returning to New Westminster in 1870. In 1875 Rev. 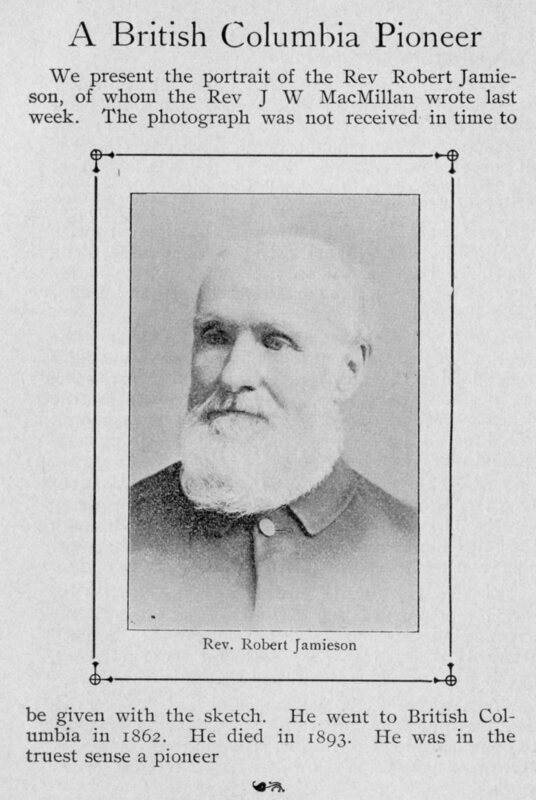 Jamieson was a corresponding member of the newly formed Presbytery of British Colombia, and in 1884 he and his congregation at St. Andrew’s Church, New Westminster, joined the Presbyterian Church in Canada. Click here to view a letter written by Rev. Jamieson to the Foreign Mission Committee in 1867 (2014-1044-5-17). Rev. James Nisbet. Image G-6420-FC-1. Rev. 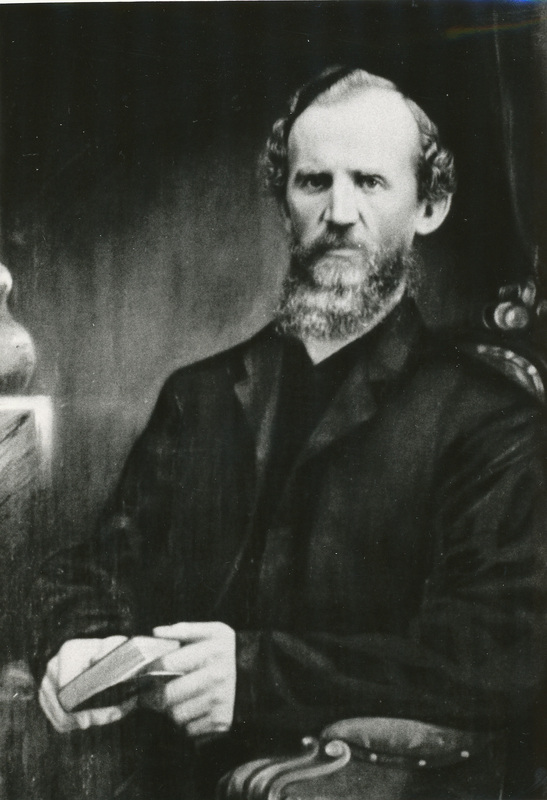 James Nisbet was a missionary in what is now Saskatchewan and Alberta. He was born in Scotland in 1823 and immigrated to Canada West with his parents in 1844. 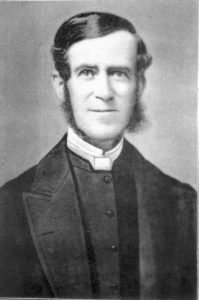 He graduated from Knox College in 1849 and in January 1850 was ordained and inducted into the Oakville congregation as minister. In 1861 Rev. Nisbet was appointed by the newly formed Canada Presbyterian Church to the Red River settlement to assist John Black. 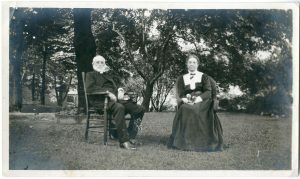 Once there, he helped build several churches and schoolhouses in the area. Rev. Nisbet married Mary MacBeth, who shared his missionary spirit, in 1864. Two years later they set out as missionaries to Indigenous Peoples further west. They settled in an area Nisbet named Prince Albert, where they set up a school and church. Nisbet travelled all over what was then called Rupert’s Land as far as present day Edmonton, preaching to bands of indigenous peoples and at Hudson’s Bay Company outposts. In 1874 both James Nisbet and Mary became ill and died shortly after returning to Kildonan. Click here to view a letter written by Rev. Nisbet to Rev. William Reid and the Foreign Mission Committee on October 1, 1867 (2014-5020-1-B). Rev. John Black. Image G-326-MC. Rev. John Black was a missionary in what is now Manitoba. He was born in 1818 in Scotland and was a school teacher before he immigrated with his family to the United States in 1841. In 1844 he came to Toronto to study at Knox College, where he helped found the Knox College Missionary Society. In 1848, after his final year of study, he was licensed to preach by the Presbytery of Montreal and worked with French Canadians for three years until he was called to the Red River Settlement (now Winnipeg) in 1851. There he ministered to Indigenous peoples and settlers and established the Kildonan Church in 1853. In 1862 he was joined by Rev. James Nisbet and together they built several churches and schools in the area. In 1871 the General Assembly of the Canada Presbyterian Church established Manitoba College, based in part on Rev. Black’s success with his schools in the Red River area. In 1881 the General Assembly offered him the position of Moderator, which he was forced to decline because of his failing health. He died less than a year later. Click here to view a letter written by Rev. Black on November 19, 1867 (2014-5019-1-1). 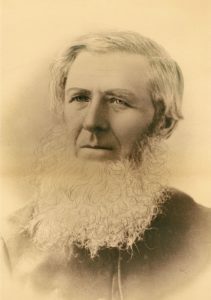 James Croil was born in Scotland in 1821 and was educated at the University of Glasgow before immigrating to what is now Ontario in 1841, where he took up farming. In 1865 he was appointed Church Agent for the Presbyterian Church of Canada in connection with the Church of Scotland. The Church Agent held responsibilities similar to the Chief Financial Officer would today. In 1866 James Croil was commissioned to visit all of that denomination’s congregations to provide a comprehensive account of the state of the Church. His report was accepted by the Synod on June 11th, 1867 with much thanks and gratitude. It contained a description of how the congregations generally conducted their services. He was critical of the way congregational singing was conducted, stating there was “a want at once of harmony and heartiness.” He later served on various Church boards, as editor of the Presbyterian from 1872-1875, and of The Presbyterian Record from its creation in 1876 shortly after church union until 1891. He died in 1916. Click here to view James Croil’s diary entries for the 1867 meeting of the Synod of the Presbyterian Church of Canada in connection with the Church of Scotland (2014-5037-3). Rev. Dr. Jenkins. Image from 2005-4055. Rev. Dr. John Jenkins, minister at St. Paul’s Presbyterian Church in Montreal was born in Exeter, England on December 5, 1813 to a Welsh Methodist family. He was educated at Wesleyan Theological Institution, Hoxton, London and was a probationer in the Welsh Methodist Church in 1835. He was ordained in 1837 and sent to Mysore, India as a missionary. Poor health forced him to return to England and in 1847 he was appointed superintendent of the Wesleyan Mission of Montreal and minister of St. James Street Methodist Church. In 1853 Rev. Jenkins met Dr. Albert Barnes, a well-known Presbyterian pastor in Philadelphia, who convinced him to join the Presbyterian church and minister to the Calvary Church in Philadelphia, where he stayed for ten years. 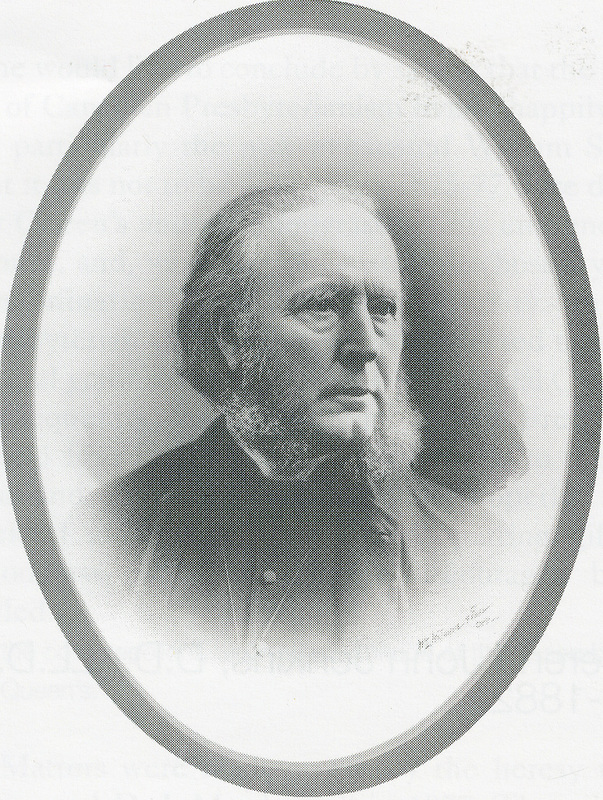 He returned to Montreal in 1865 to be Minister of St. Paul’s Church, where he served until his retirement in 1881. On June 8th, 1867 Rev. Jenkins helped lay the cornerstone of the new St. Paul’s Presbyterian Church, which was built from 1867-1868. Rev. Jenkins was also the Chairman of the Protestant Board of School Commissioners for the City of Montreal from 1866-1878 and was elected Moderator of the Presbyterian Church in Canada in 1878. Rev. Jenkins died in London, England on April 12, 1898. Click here to read Rev. Jenkins’ address at the laying of the cornerstone of St. Paul’s Church, Montreal on June 8th, 1867. Rev. John Morton and his wife Sarah. Image G-93-FC. The Rev. John Morton was born in Nova Scotia in 1839 and entered the Free Church College at Halifax in 1855. He graduated in 1861 and was ordained in December of that year, when he was given the charge of Bridgewater. In 1863 he married Sarah Silver and together they had four children. Due to ill-health Rev. Morton left Nova Scotia for the winter and traveled to Trinidad in 1864 to recover. In his four months on the island Rev. Morton became quite interested in the large East Indian population, who had been brought to Trinidad in the proceeding 20 years as indentured labour and who, he felt, were neglected by the churches on the island. On his return to Nova Scotia Rev. Morton brought the matter to the Synod of the Presbyterian Church of the Lower Provinces, which agreed to fund a mission in Trinidad. Rev. Morton and his wife Sarah departed for Trinidad on November 30th, 1867. They recruited local staff and were successful in starting churches and schools to serve the whole island. They remained in Trinidad until Rev. Morton’s death in 1912. Click here to view Rev. Morton’s diary entries for his voyage to Trinidad in 1867 (1973-5009-7-5). Rev. John Geddie. Image G-3129-FC. The Rev. John Geddie was born in Scotland in 1815 and his family immigrated to Nova Scotia not long after. In 1838 he was ordained and accepted a call to the congregations of Cavendish and New London, Prince Edward Island. 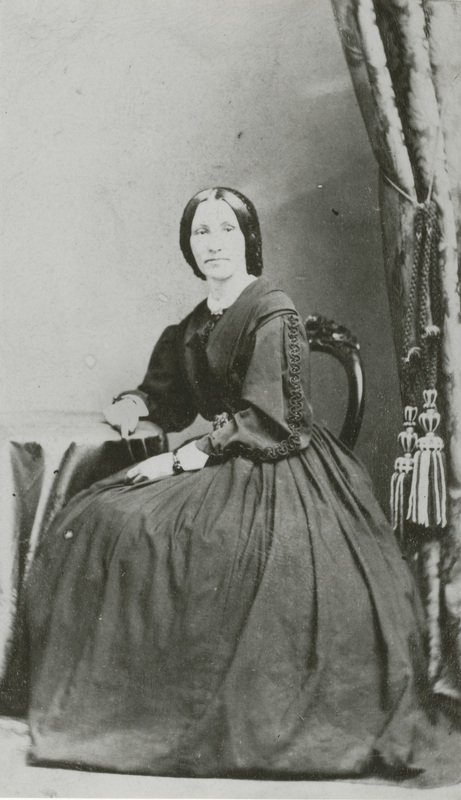 Charlotte MacDonald was born in Nova Scotia in 1822 and married John Geddie in 1839. They served in Prince Edward Island until July 1845 when the Synod of Nova Scotia selected them as missionaries to the New Hebrides in the South Pacific (now Vanuatu). In November 1846 they set sail for Samoa, where they underwent language training for eight months. When they arrived in the New Hebrides in 1848 they settled in Aneityum and provided literacy training with the goal of teaching the Bible to the people living there. Their correspondence regarding their mission work in the New Hebrides was frequently published in The Home and Foreign Record of the Presbyterian Church of the Lower Provinces, keeping the mission in the minds of the people back home. 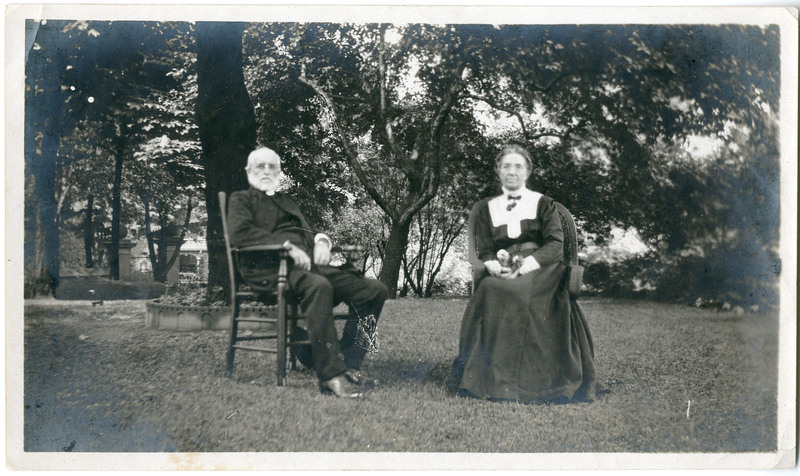 John and Charlotte Geddie served in the New Hebrides until 1870, when they moved to Australia to finish their translation of the Bible into Aneityum. John Geddie died in Australia in 1872 and Charlotte Geddie continued to serve the Church in Australia, becoming vice president of the Presbyterian Women’s Foreign Missionary Society, until her death in 1916. 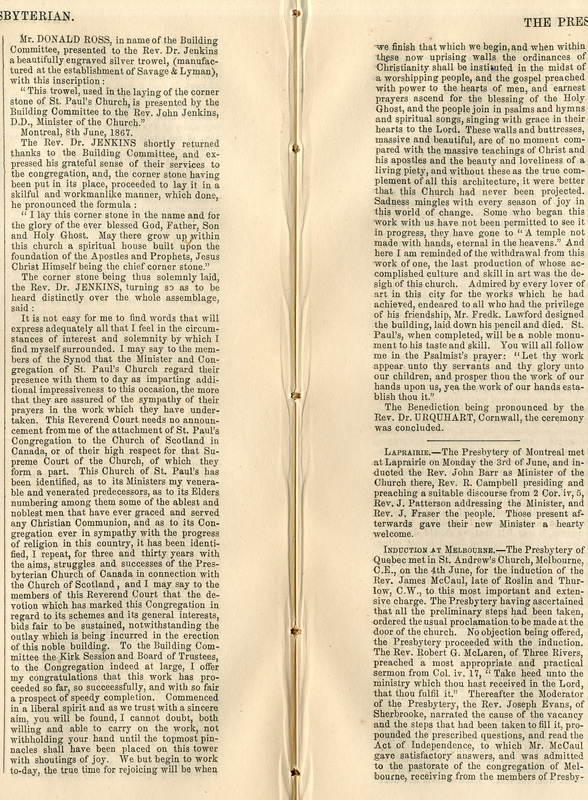 Click here to view a letter written by Charlotte Geddie and published in the June 1867 issue of The Home and Foreign Record of the Presbyterian Church of the Lower Provinces. Rev. Moses Harvey. Image from 1988-4026. Rev. Moses Harvey was born in Ireland in 1820. He was ordained as a Presbyterian Minister in 1844 and, after serving for a time in England, immigrated to Newfoundland in 1852. Rev. Harvey served as Minister to the St. Andrews Free Presbyterian Church in St. John’s. 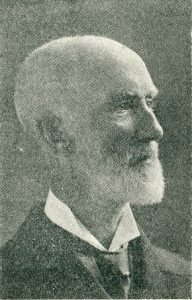 In 1892 Rev. Harvey was elected to the Royal Society of Canada and served as secretary to the Newfoundland Fisheries Commission. He was also an author and historian, and wrote several books about the history of Newfoundland. Rev. Harvey died at St. John’s on September 3, 1901.